Taking time to prepare for conception is important and allows you to play an active role in creating a healthy body in order to have a healthy pregnancy. Helping the body to regularly and gently detoxify daily will help give your new baby a better chance at a healthy start at life. A body that is functioning at its best is one that is able to handle daily exposure to toxins. What many people don’t know is that the body can become easily overwhelmed by toxins and many of these toxins have been shown to be passed on to a developing baby in its mother’s womb. Giving your body a little daily detox support is always a good idea. Not only will this help you reach your end goal, it will help your body fully utilize any herbs, nutritional supplements or natural therapies you might use to prepare for pregnancy. Probably the easiest, most cost effective way to stimulate gentle liver cleansing is to add the juice of ½ of a lemon to one quart of water and drink this first thing in the morning. The liver is afterall, the “master detoxifier” of the body and it plays a critical role in hormonal balance. According to animal studies at the University of Minnesota, limonene, an active molecule found in lemons (and other citrus fruits), may activate liver detoxification enzymes. Lemons also provide a good amount of vitamin C and antioxidants; nutrients shown to play a key role in reproductive health. The scent of lemon is believed to lift the mood. Be sure to also drink another quart of water throughout the day. Staying hydrated is key for whole body health, but also for liver health, healthy cervical mucous production, boosting metabolism, and even for healthy, blemish-free skin. The human body was designed to digest and process fresh, whole foods. By feeding the body foods it naturally knows how to utilize, the natural detoxification process happens with ease. Implement the Fertility Diet as a foundational step on your fertility journey – it focuses on eating fresh fruits and vegetables, fiber, grains, nuts and seeds, healthy fats, and moderate amounts of organic grass-fed meat, poultry, wild-caught fish, eggs and raw or organic dairy products. Exercise supports whole body health. Regular, moderate exercise promotes regular detoxification of excess hormones and toxins from the body by increasing circulation and the amount of fresh oxygen we breath in, strengthening the muscles, reducing stress and tension, and stimulating digestion. Movement can be relaxing and actually should not be strenuous when trying to conceive – try a brisk walk, a leisurely jog, hiking in nature, fertility yoga, or a dance class. Dry brushing parallels drinking lemon water daily in the “easy” and “cheap” department. The website MindBodyGreen shares, “Your skin, the largest organ in the human body, is an organ of elimination. One third of your body’s toxins are excreted through the skin and dry brushing helps to unclog pores and excrete toxins that become trapped in the skin.” Dry brushing is also one of the only ways to stimulate the lymphatic system. One thing the lymphatic system does is remove toxins and waste from the body. Undress, yes, you need to be naked, and stand in the shower. With your natural bristled body brush, start at your toes and brush up your legs with long, light sweeping motions. Brush up to your knees and then from knees to hips, up the hips, up over the abdomen toward your heart. Do the same from your fingertips toward your elbows, then from your elbows to shoulders toward your heart, and from the top of the head in short sweeping motions over the face toward the heart. Be sure to be gentle and apply only light pressure when sweeping over your face. Cover as much of the surface of your body as you can, brushing toward your heart and making sure to be kind to sensitive areas like the face, breasts and undersides of the arms. The skin should become less sensitive as you continue this practice. The Fertility Cleanse Kit was designed with one thing in mind – the importance of cleansing the body of excess hormones and toxins, while improving uterine health prior to conception. Since your baby will be housed in your body for the first months of its life, we want to be sure that house is clean and ready for its new guest. Fertility cleansing aids the body’s natural ability to rid itself of toxins and metabolize hormones. Every day we are exposed to a variety of harmful substances that can affect our cellular health, hormonal balance and overall health. The herbs that are utilized in Fertility Cleansing support healthy function of the liver and uterus in order to help you achieve optimal reproductive wellness. Milk Thistle (Silybum marianum) seed has the proven ability to repair, regenerate and gently detoxify the liver. We like to utilize this herb as a liquid extract. Dandelion (Taraxacum officinale) leaf, root and rhizome, all have a well-established affinity for the liver and kidneys and are known to stimulate digestion. Dandelion is great as a daily infusion or liquid extract. Flaxseed (Linum usitatissimum) being fiber rich, helps to eliminate toxins via the intestines by promoting healthy bowel movements. Grind up two tablespoons of fresh flaxseeds and add them to your food, daily. Castor oil (Ricinus communis) therapy is another easy, great way to help the body heal fertility issues and prepare for pregnancy. Castor oil packs not only promote detoxification, but also improve reproductive health by increasing circulation to the reproductive organs which supports egg, ovarian, fallopian tube and uterine health. They also boost immune system function, reduce inflammation and pain, and promote stress reduction. “The leading theory of how castor oil positively affects the immune system is via an increase of T-cells [Lymphocytes] in the skin and augmentation of prostaglandins. The T-11 cell increase represents a general boost in the body’s specific defense status… T-11 cells are responsible for producing specific antibodies for our immune system. The skin T-cell theory postulates that castor oil triggers T-lymphocytes in the skin, causing them to activate a local and/or systemic immune reaction…,” shares Bastyr University educated Naturopathic Doctor Todd A. Born in the Journal of Natural Medicines. Self Fertility Massage™ is a series of massage techniques used to increase circulation to the uterus and ovaries, realign a tilted uterus, break-up adhesions, and relax the hip muscles and reproductive organs. Proper alignment/positioning of our internal organs can release physical and energetic blockages in the reproductive organs, increase circulation, and in doing so help them to function at their best. Detox baths with Epsom Salts (magnesium sulfate) provide incredible benefits ranging from regulating the activity of hundreds of enzymes in the body, and reducing inflammation, to supporting muscle and nerve function, improving the absorption of nutrients within the body and supporting the body’s natural ability to remove toxins. Including Epsom salt to a medicinal herb bath recipe can help to melt away stress, clear energy and impart a wide range of fertility health benefits depending on the herbs and essential oils added to them. Hot baths also induce sweat, another way the body naturally removes toxins. The thoughts running through your mind might at times run like the credits at the end of a movie. They can be overwhelming to say the least and may be largely focused on what has gone or is going wrong… the negative. If you feel this way, it’s time to detoxify your mind! Your body is healthy and amazing! It is able to thrive even with a fairly constant influx of potentially harmful toxins. Offer it help in doing so, because it’s not invincible. Through daily gentle detoxification, I hope you experience increased energy, better sleep, and changes in reproductive system health, mood and stress levels. My name is Brenda 26yo, I had a miscarriage late May 2018. In my 8 week check up I found out the baby had stopped growing at 6 weeks. This month my cycle was finally regular 28days not so heavy seems like my body is readjusting. Husband and I would like to try one again to conceive, but I’ve been taking Terbinafine since the first week of Sept 2018 for nail fungus will be ending treatment last week of Nov 2018. How long should I wait before trying to conceive? I’m interested in doing the cleanse before. I am so sorry for your loss! I am not familiar with Terbinafine. It would be best to talk to your doctor or pharmacist about how long it remains in the body after treatment is stopped. 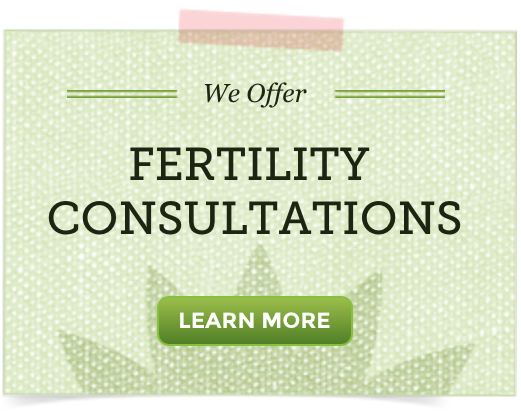 Fertility Cleansing is suggested at least one month/cycle prior to beginning to conceive. It would be best to talk to your doctor about the medication’s possible impact on your hormonal balance or ability to conceive. I can not be sure. I can’t suggest a detox routine while taking prescription medication. A healthcare provider should approve and be willing to guide you before beginning. Great tips. I was wondering if you recommend consuming castor oil internally or is that to dangerous? We only suggest using Castor Oil topically. It is truly not meant to be consumed internally and certainly not without qualified guidance. Hi, is it fine to take my daily dose of Vitex at the same time as drinking the lemon water in the morning? I notice both are recommended as “first thing in the morning” and I imagine they are probably compatible to do together. Thanks! Yes, the is just fine! Thanks Elizabeth! I have another “logistical” question: For the ground flaxseed, do you highly recommend grinding it fresh every day, or would it be okay to grind a batch (enough for a few weeks, for example) and store the ground seeds in the freezer? Thank you very much again. It is fine to grind a batch of flax seeds and store the ground seeds in the freezer (exactly what I do for the sake of ease ;-))! My doctor has mentioned infrared sauna as a pre-pregnancy detoxification protocol. I’m assuming 5-10 minutes a 2-3x per week is not the type of “hot tub-like” heat that fertility doctors caution preconception folks to stay away from, correct? It is my understanding that far-infrared sauna’s produce more heat and less steam than traditional sauna (less heat, more steam). With that I am not certain the comparison of 5-10 minute 2-3 times a week in a far-infrared sauna and soaking in a hot tub. In general we feel a traditional sauna 1-2 times a week is find preconception. When actively trying to conceive, one should not take a sauna at or after ovulation, or be cleansing. I am planning to do an egg retrieval for the first time in 2.5 months. I would like to lose 10 lbs before I do the retrieval and we put in our embryos. Is it safe to do a green juice fast one day a week, while still taking my Chinese herbs and supplements for fertility prior to the retrieval? A one-day-a-week green juice fast isn’t known to be harmful to fertility that I have ever read or heard of. Do consider asking the practitioner who helped you create the program you are on in preparation for retrieval as well. The month that I finally became pregnant I took a liver and colon cleanse supplement (up until ovulation date), used an infrared sauna to induce sweating and detoxification a few times a week (up until ovulation), ate clean with lots of healthy fats (raw nuts and seeds, coconut oil and grass-fed butter), and supplemented with a B100 (which I continued to take until I ran out in second trimester). These are excellent tips you have and I absolutely believe that detoxification is an important process of creating a fertile body. I thought I would add in my process in case it helps anyone else! We want to offer others all that we can to empower them and help them achieve their dream too! All my best and Congratulations to you!